I am then on Maui! It is soooooo niiice to be back. 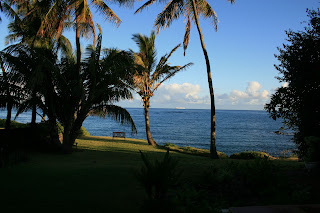 Here one pix taken early in the morning from the window of the place I live here. 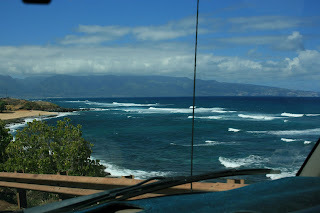 The another picture is from last year taken from a car driving by Ho’okipa. The travel went more than well. This time my flight was with American Airlines and for me it worked so good. My first anxious was that the flight was with an mistake booked with British Airways in the first flight, but it was AA who have the hole flight so it went ok. As you know BA have this not so nice roles for windsurfers: BA baggage policy (click on the Sporting equipment at the bottom of the site) But even with those roles I could check in my 3 sails 2 masts and a boom without any question and I don’t had to pay anything or it, they just took my seilbag right there at the check inn and gave me a big smile. When I was at LA airport after a short line with security check and answer on question “why stay so long at Maui” I found the sailbag right away, and when I found it my another bag came by on the band. After that I could only take the bags around the corner and drop it right away, and next flight was in the same terminal. So this time I don’t had to carry all the bags all around the airport. This time as well I slept during almost all the flights, the last flight (around 5,30 hours) I fell to sleep almost right away, and wake up when it was 45 min before arrival. :-) This time I also tested out to try to talk me up to business class, I did it with a big big smile, and in fact I felt they was motivated to do it and had a look at the computer for it but it was over booked, so I had to travel on “instead use the money on windsurf gear” class! 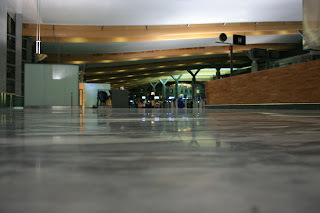 :-) When I was awake and on the airports I met a lot of nice people to talk to who made the travel a lot shorter. long flight but worth it! yea really worth it, and today picked up my two new quad boards, they look absolutely awesome :-) I will blog about it later on when I have time for it, so much to do the first day! congratulations on your new boards (You dog!!!) Enjoy 'em soon.